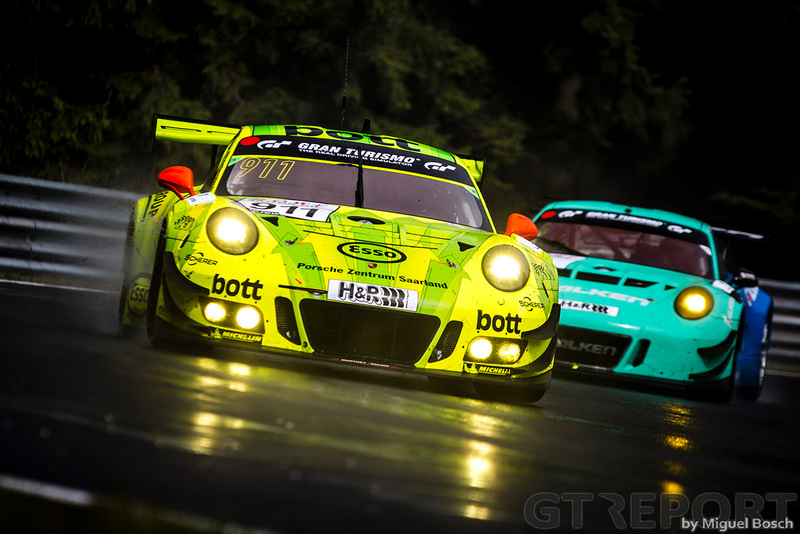 Manthey Racing returned to its winning ways in the Rowe 6 Stunden ADAC Ruhr-Pokal-Rennen as the Meuspather team took its third victory of 2017. 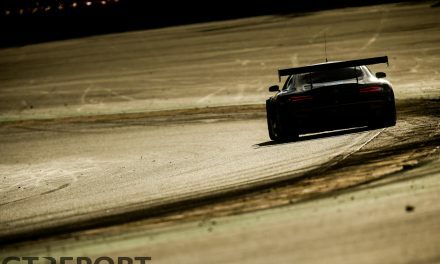 After missing out on the win by half a minute last race, drivers Romain Dumas, Kévin Estre and Mathieu Jaminet came back to take the chequered flag at over 3 minutes to the second-placed Falken Motorsports Porsche 991 GT3R, making it look like a sovereign victory—it was far from it. 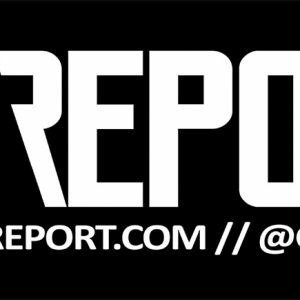 Friday served as a prelude to what is to come. 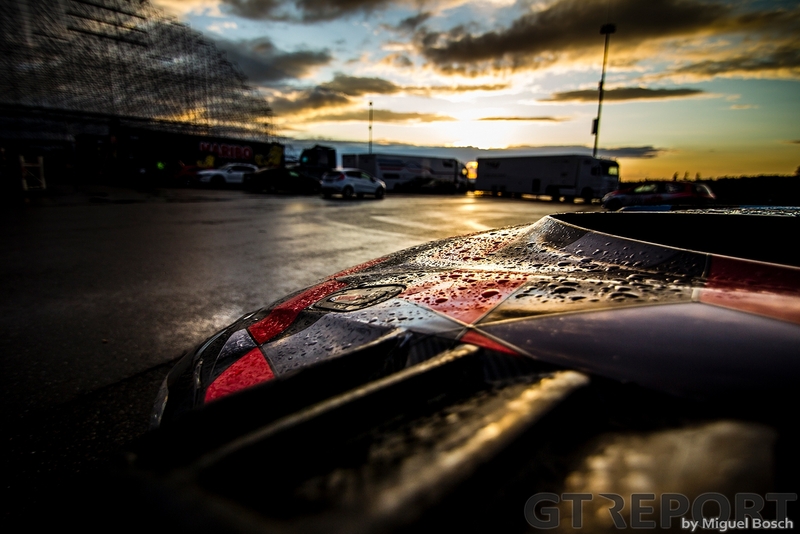 The usual test day was held in a constant state of rain, giving the teams and drivers an opportunity to prepare for race day. The next morning the sun shines bright through the clouds. It’s not what anyone expects the rest of the day to be like. Six hours from start to finish are on the schedule and with the threat of rain in the forecast, whatever’s going to happen, it’s going to be a very long day for everyone. Four brands divided among five teams are looking to go for the top of the charts in the first hour. 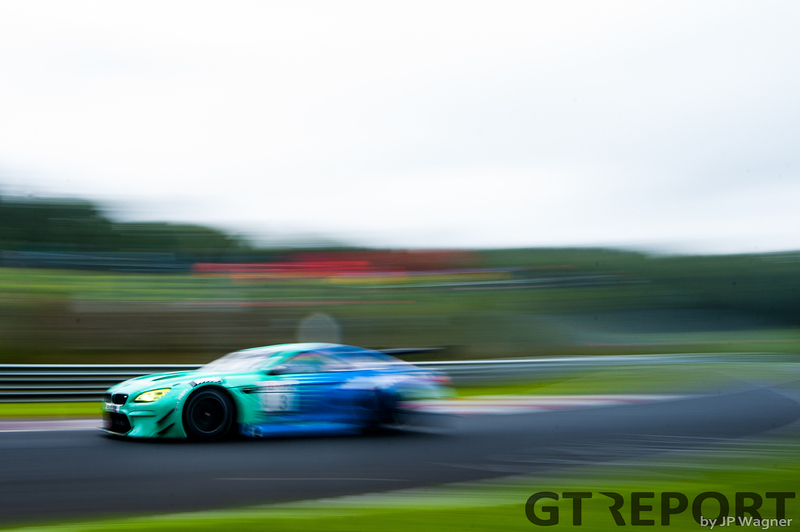 Bringing the field to the line is Falken’s Klaus Bachler, having trained to pole position in a tense qualifying session this morning. The Austrian is first past the green, but then gets mugged as the field dives into turn one. 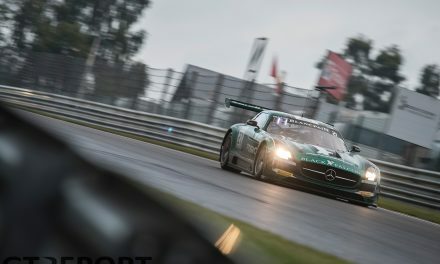 Renger van der Zande in the Haribo Racing Mercedes-AMG GT3 pushes into the lead, followed by Philipp Eng in the Rowe Racing BMW M6 GT3 as behind them others relegate the loose Falken Porsche to fifth place. Arriving at Döttinger Höhe for the first time, Eng attacks for the lead. Slipstreaming around Van der Zande’s AMG into Tiergarten, Rowe takes charge. Eng leads as the top of the first hour draws near. Keeping the Haribo AMG, yellow-green Porsche of Kévin Estre, and the strong-running Phoenix Racing Audi R8 LMS GT3 of Frank Stippler all at bay, everything goes smooth for the St. Ingberter Rennstall. Up ahead is a group of backmarkers. Working its own way through the traffic is one of the KTM X-Bowes, doing its own lapping and unaware of the fast approaching M6. 230 kilometres per hour are on the counter when Eng tries to go past at the high-speed Schwedenkreuz section. 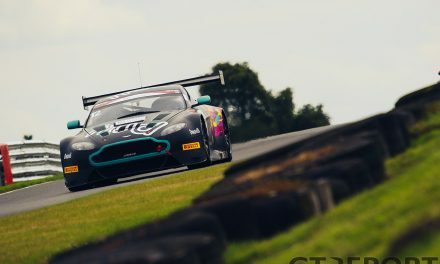 Unbeknownst to the Austrian, the X-Bowe racer hasn’t seen the Rowe BMW coming and stays the course, accidentally hip-checking the big GT3. There’s nowhere to go for Eng. The wet strip of grass brings no escape; it only makes matters worse. A smack in the barriers and he suddenly finds himself in a cloud of smoke spinning backwards, cars shooting by him left and right. When he comes to a standstill, Eng knows it’s race-over. With two Code 60s slowing down the lap times, the leaders decide to make their first pit stops. Stippler has only just taken first place after overtaking Van der Zande, but loses it again the next lap when Haribo Racing returns to the top of the standings with a quick pit stop. 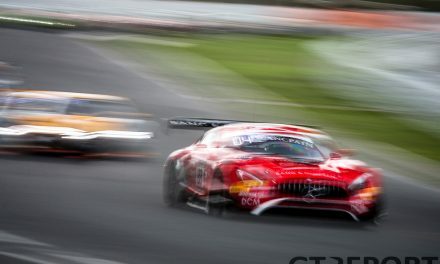 Too quick, the stewards count, and the AMG is called back into the pits for a stop-and-go penalty, returning the lead to Phoenix Racing. Dark clouds drift over the Eifel. Rain will come—the only question being when. Halfway into the second stint the answer comes with the first drops from the sky. 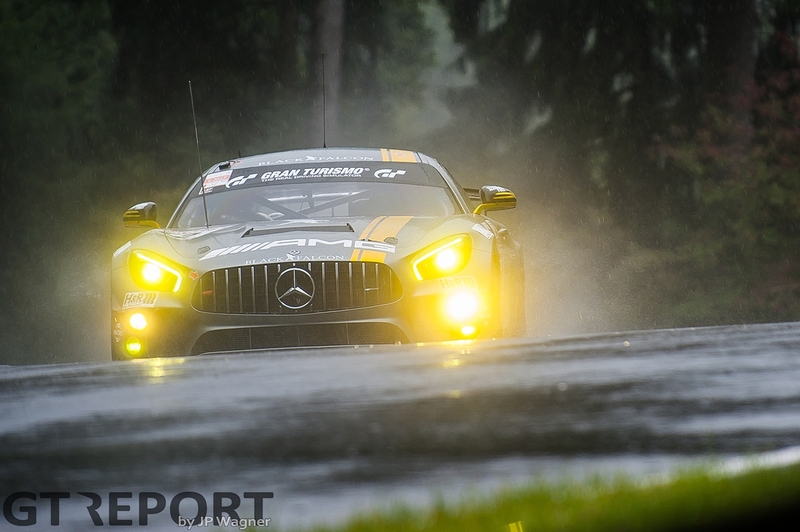 From that moment on there’s hardly ever a lap without rain on the Nordschleife as scattered showers challenge the teams and drivers throughout the afternoon. The strategic plays, gambles and looking up begins. When the treaded rubber is called upon, anyone on Michelins has the advantage. 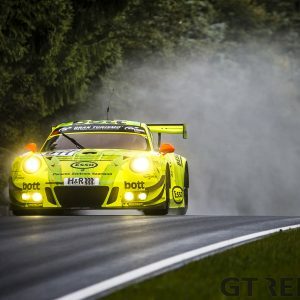 Outfitted on just this brand and hitting their marks perfectly, the Manthey Racing crew first rises to the top after two hours of racing, even when slicks still suffice on the partially damp Nürburgring tarmac. 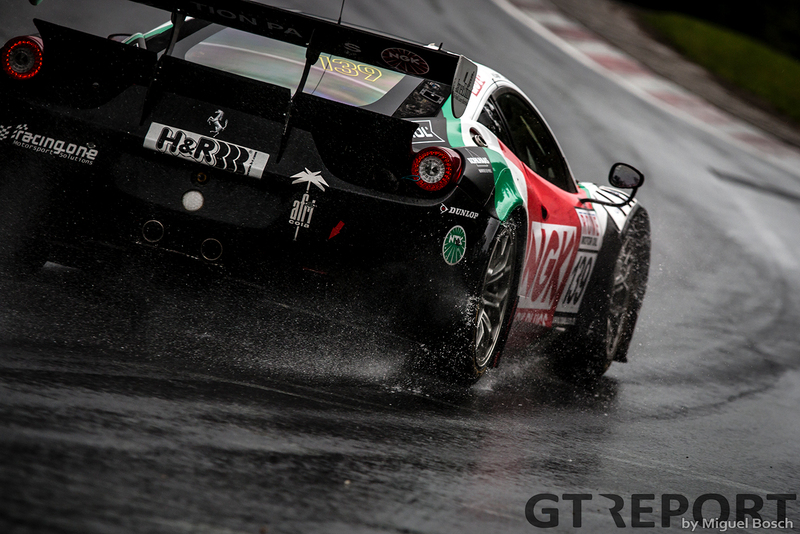 At the halfway point the rain has become so prevalent, the time has come to switch to wet-weather tyres. Mistakes and miscalculations are now easier than ever to make. The Manthey crew, however, are flawless in their execution in the remaining three hours. Where others take on slicks at the wrong times, the Porsche team doesn’t take any chances and keeps ‘grello’ on the Michelin wets. Hours pass by with challengers dropping out of contention one by one. 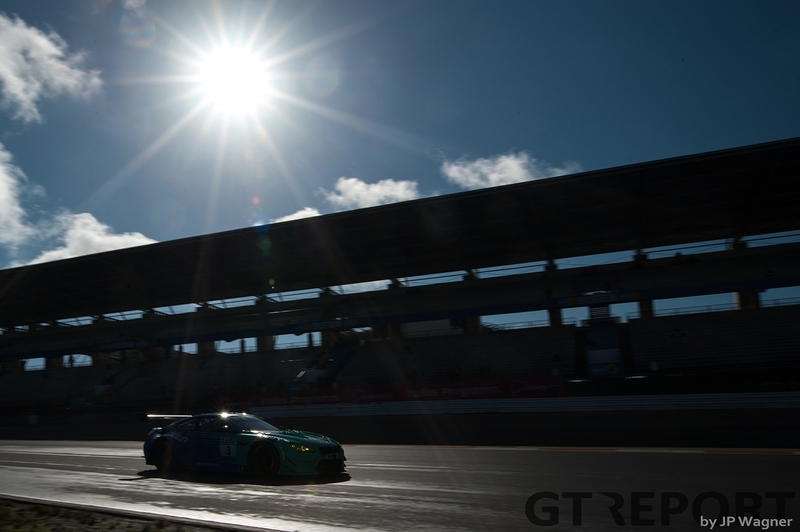 Haribo Racing and Phoenix Racing through the wrong tyre choices have been left behind, but the Falken Porsche team has kept up with the semi-works 911 through everything the Eifel has thrown at them. But, if they want to win, they’ll have just one shot left and it’s to roll the dice for the final stint. Instead of doing like Manthey does and remain on wets, the Team Schnabl Engineering-run Falken Motorsports goes with cut slicks into the final hour—moments before the rain picks up again. Bachler realises their mistake in the most frightening of ways when he finds himself gliding towards the guardrail at Aremberg, nearly crashing the Porsche. Lucky in an unlucky situation, he continues with nothing but cosmetic damage and a grass-filled air-intake, as well as a call to the pits to bring the rain tyres back out. 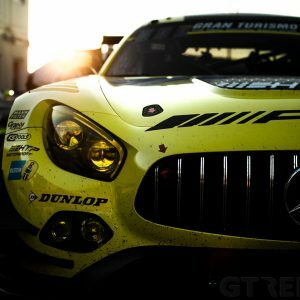 It’s the end of Manthey’s competitors to charge at the local heroes. At shortly past 18:00 hours, Estre steers the Porsche over the finish line with a margin of over 3 minutes to Falken and Phoenix—worn-out rain tyres steaming as he parks triumphantly in parc fermé.